As well as announcing their new Envy range of laptops, HP has also unveiled their new audio streaming device called the HP Wireless Audio. The new device has been designed to allow you to stream audio content directly to any speakers of your choice wirelessly using a small PC dongle and receiver. One half of the unit a small dongle connects to your PC and the other pictured above which is the receiver, connects to your speakers via either 3.5mm, right / left RCA, TOSLINK line-out, or S/PIDF ports. Once setup uncompressed audio is then streamed from your PC directly to your speakers. 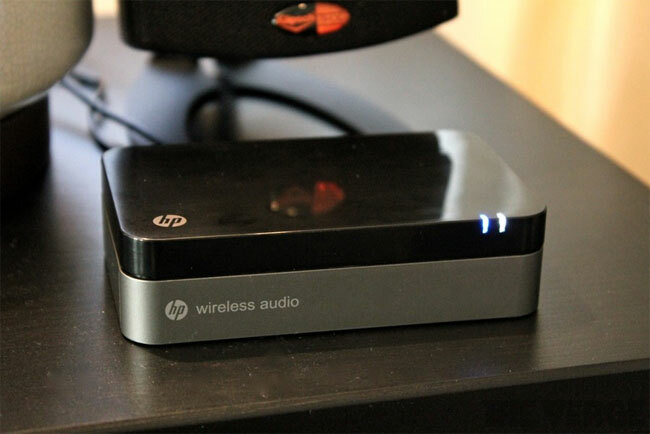 The new HP Wireless Audio will be arriving next month for around $100.